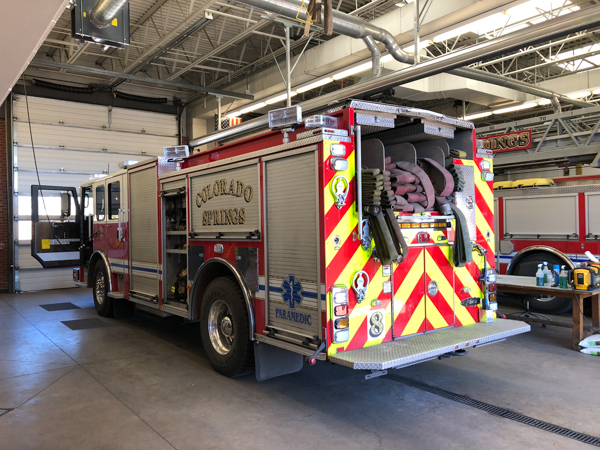 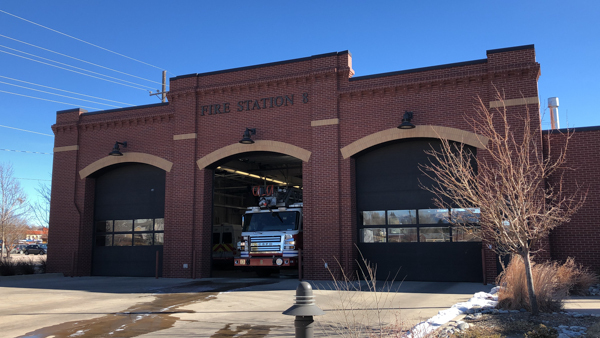 Fire Station 8 is located at 3737 Airport Rd. 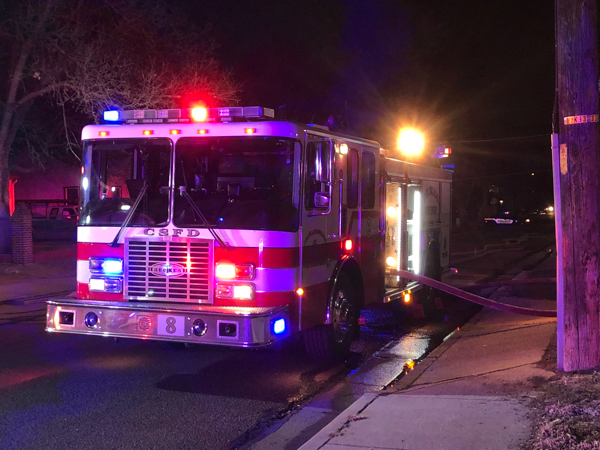 at Lakewood Circle. 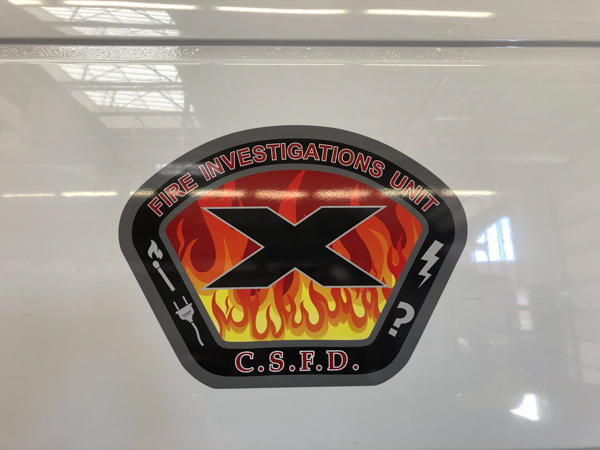 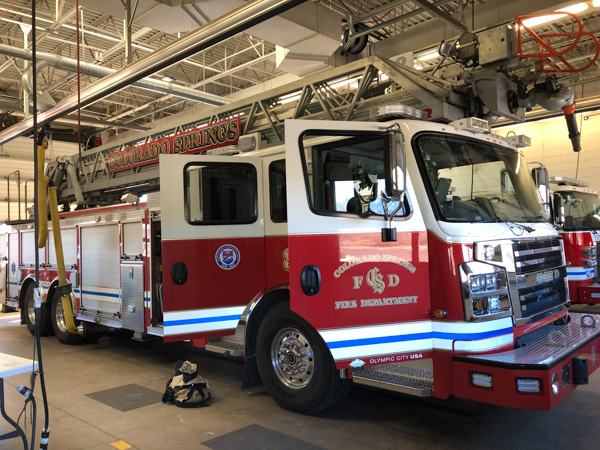 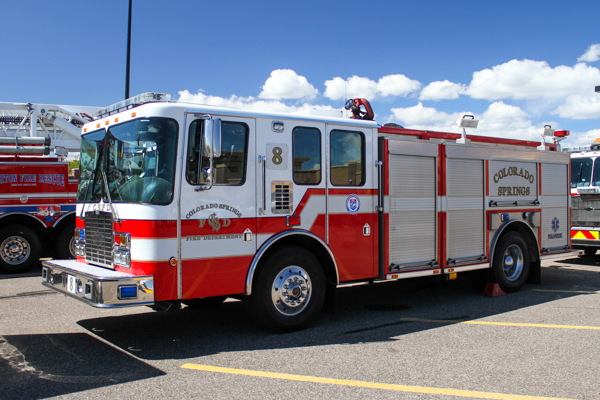 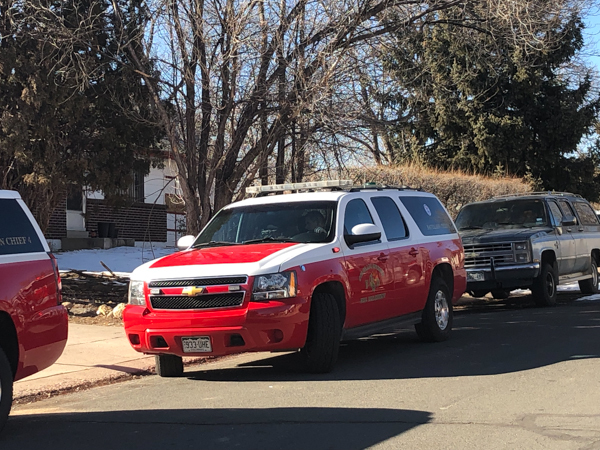 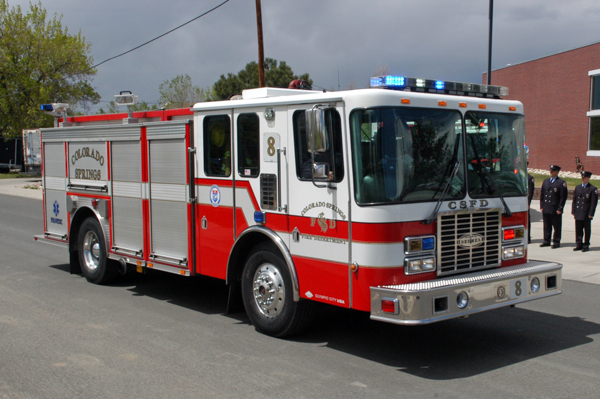 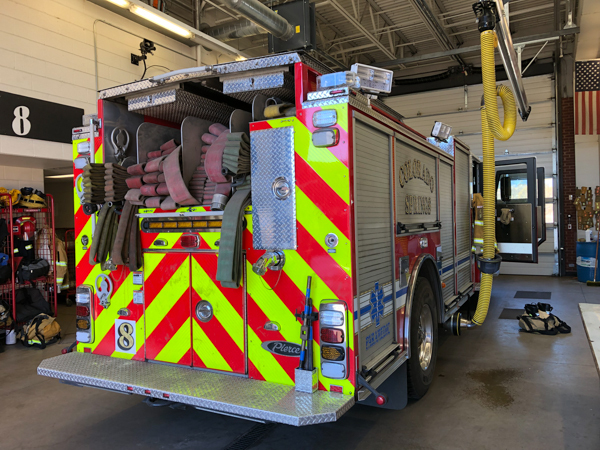 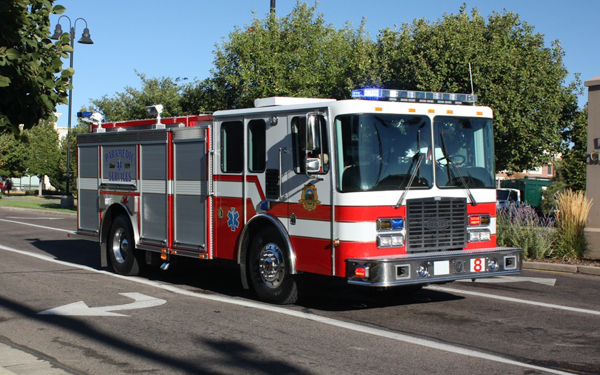 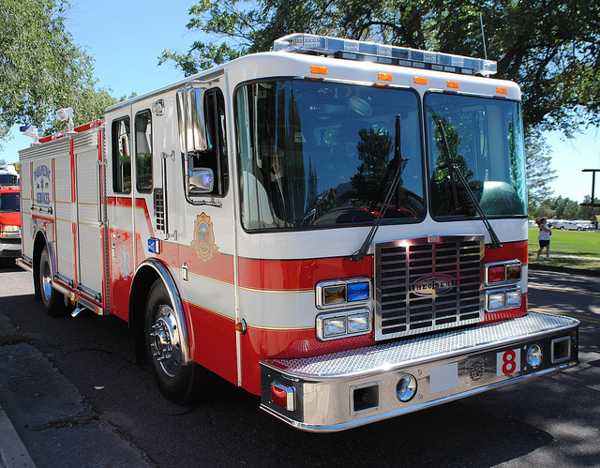 Chevy Suburban 4×4 (District Chief 2) covers Stations 2, 6, 7, 8, 10 & 11 (Sand Creek Division). 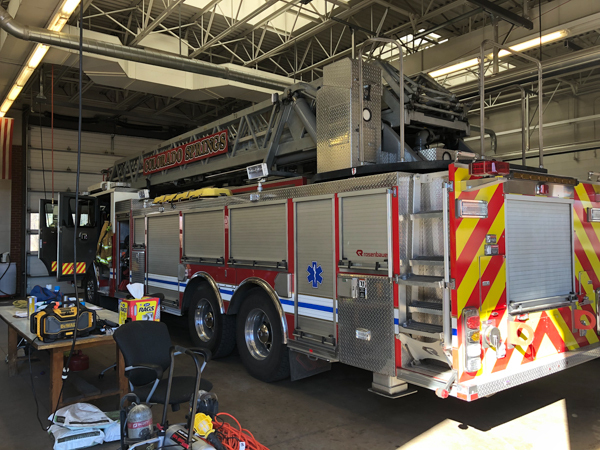 2018 Pierce Saber 500 gallon water tank / 1500 gpm pump. 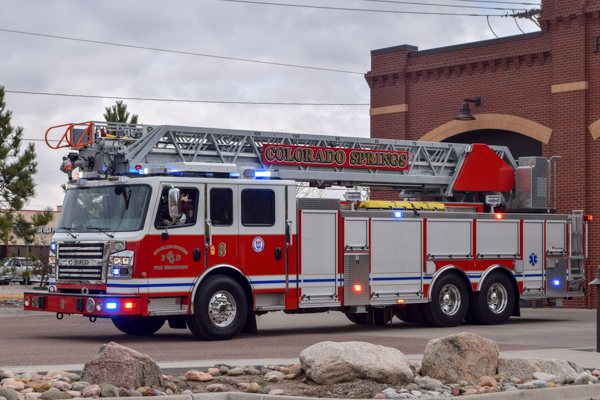 Rosenbauer 109′ rear-mount aerial ladder. 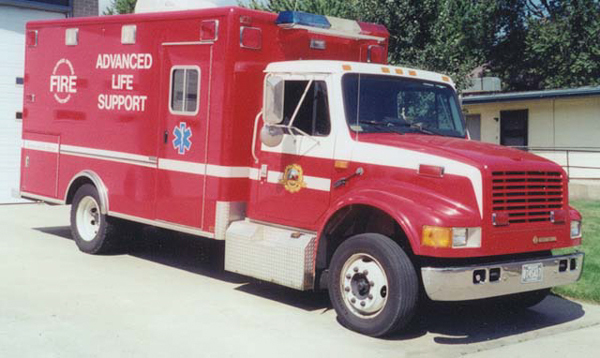 Ford F-450 4×4 XL Super Duty. 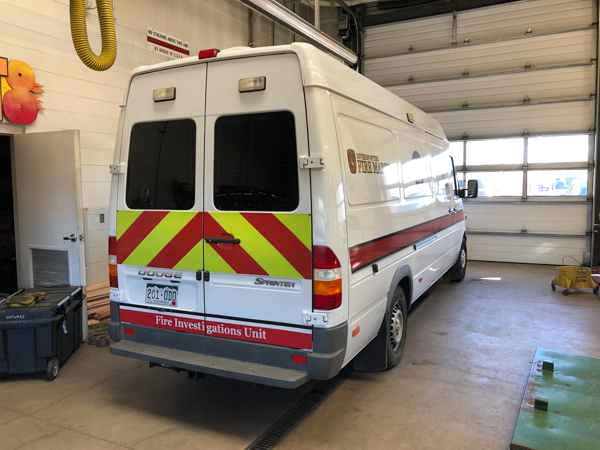 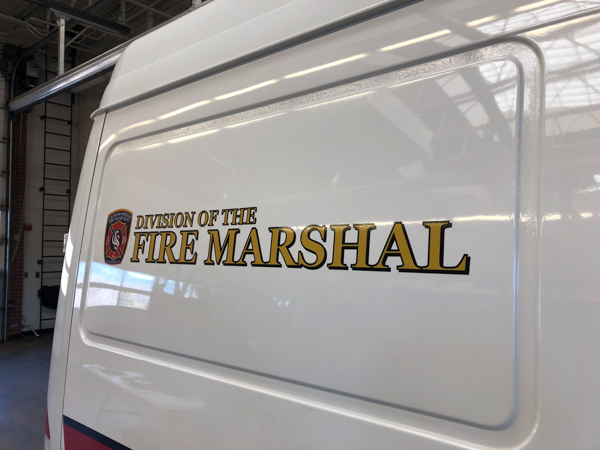 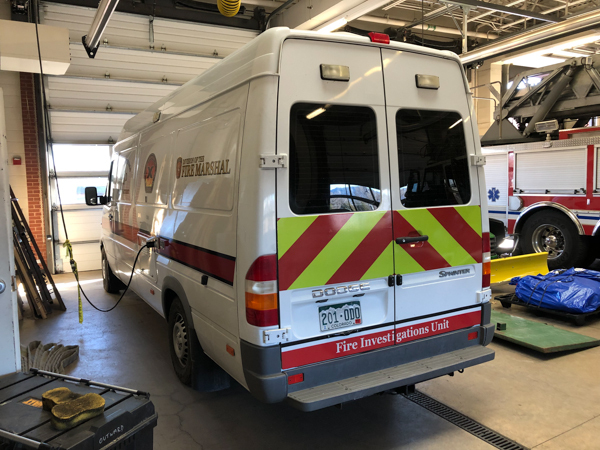 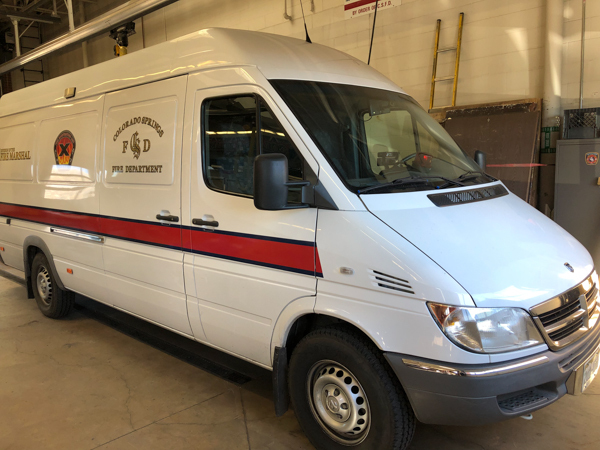 (Division of the Fire Marshal) Dodge Sprinter. 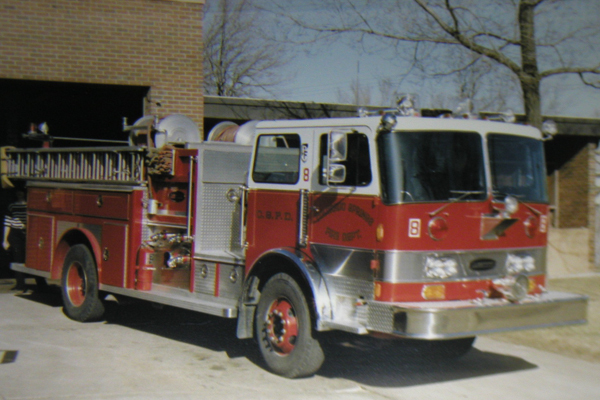 Engine 8 (418) 1981 Pemfab (P7979) / E-One (2099) 500 gallon water tank / 1250 gpm pump. 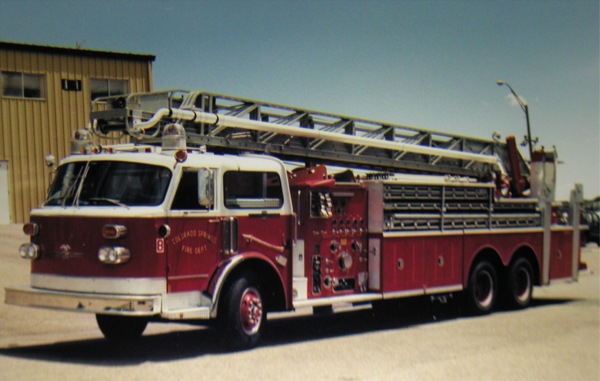 Engine 8 (421) 1985 Pierce Arrow (2817-02) 500 gallon water tank / 1500 gpm pump. 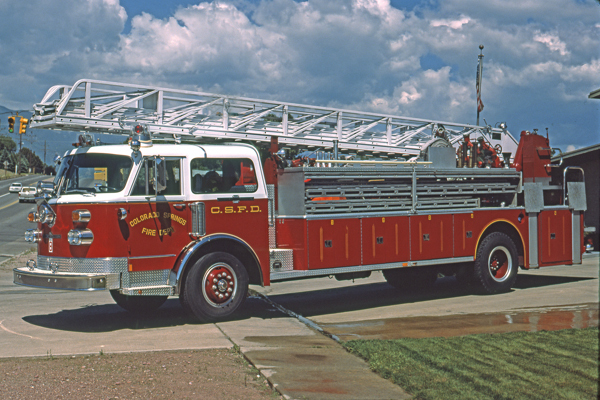 Truck 8 (304) 1973 American LaFrance (C-14-3479) 100′ rear-mount aerial ladder 1000 gpm pump, also ran as Truck 7. 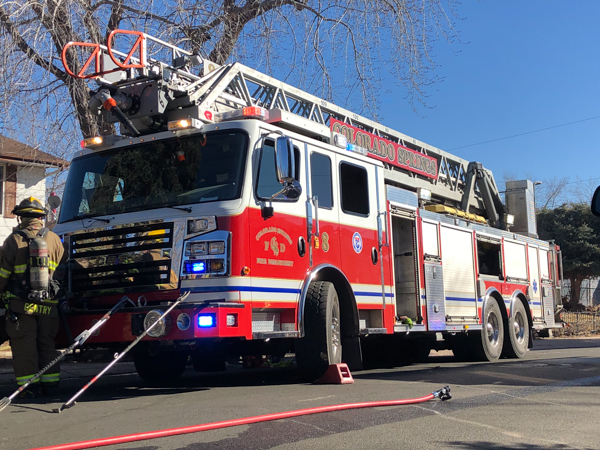 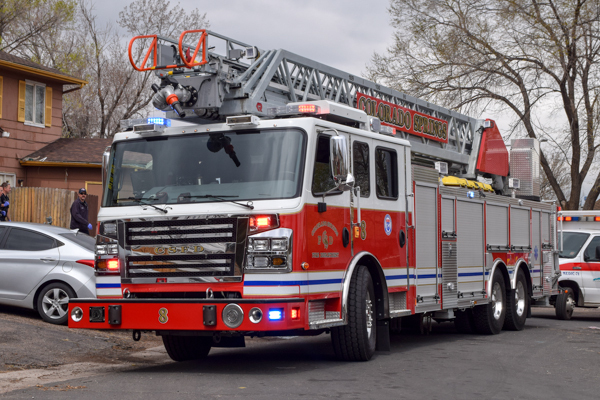 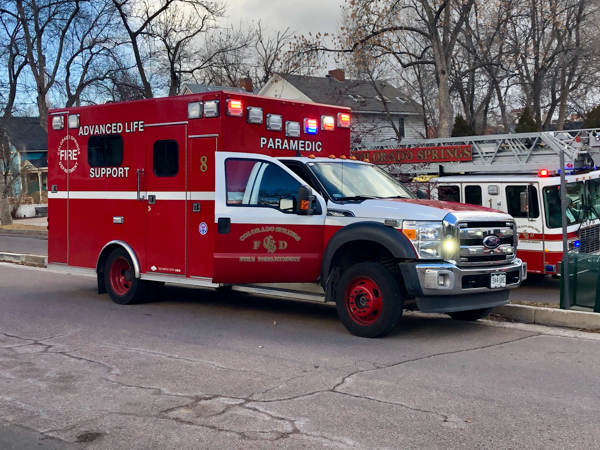 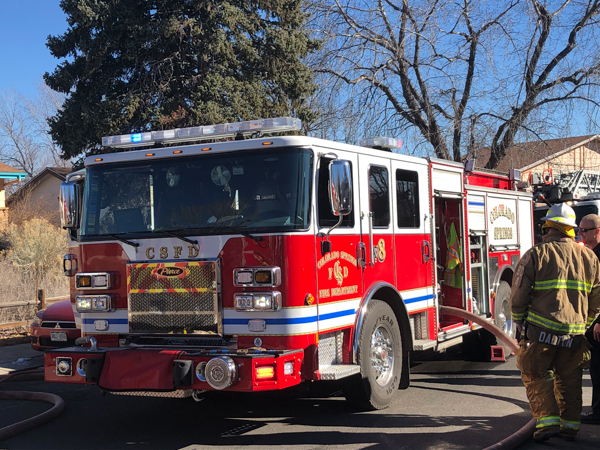 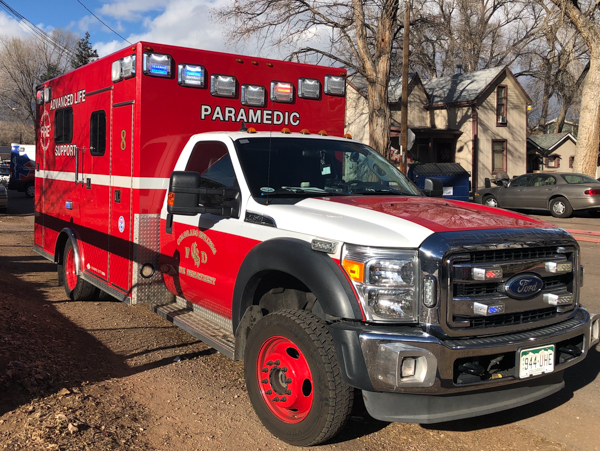 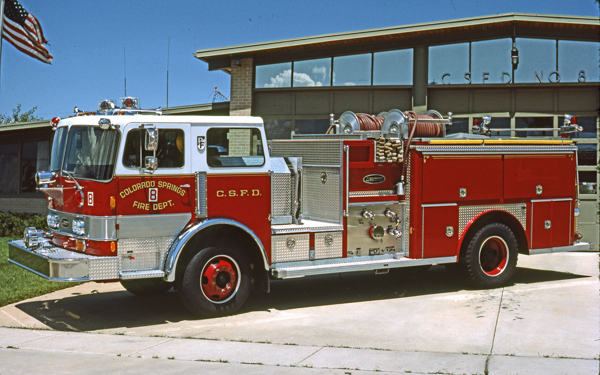 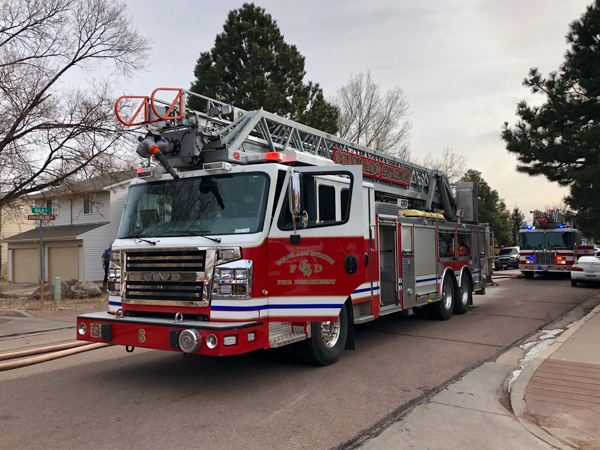 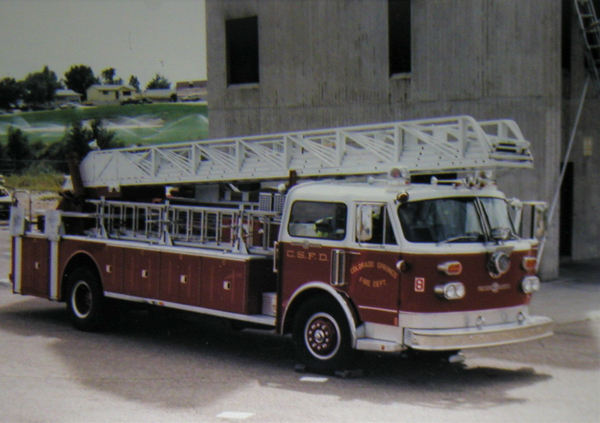 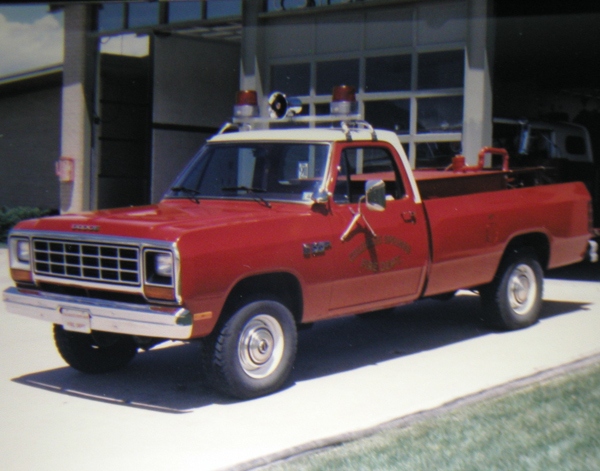 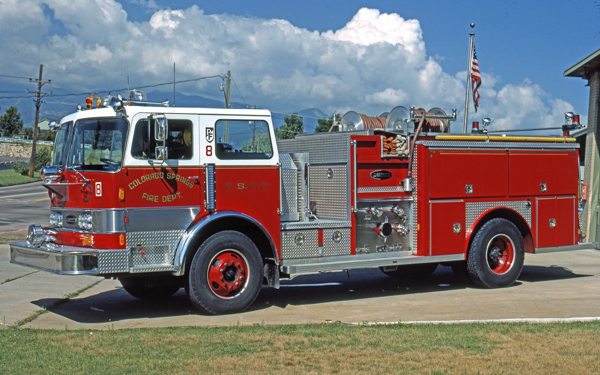 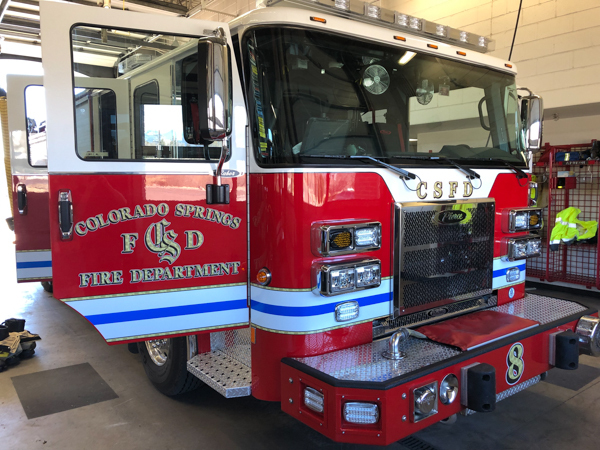 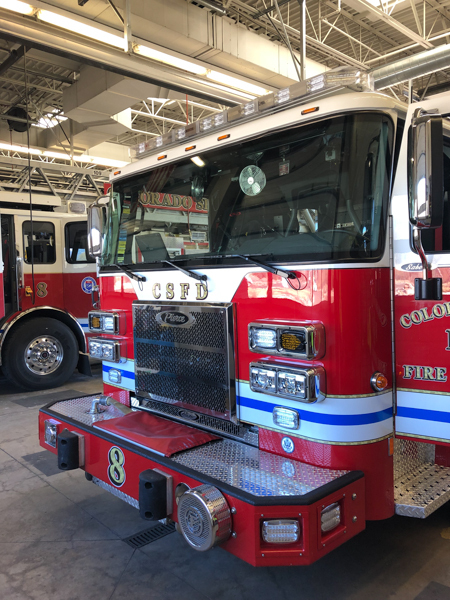 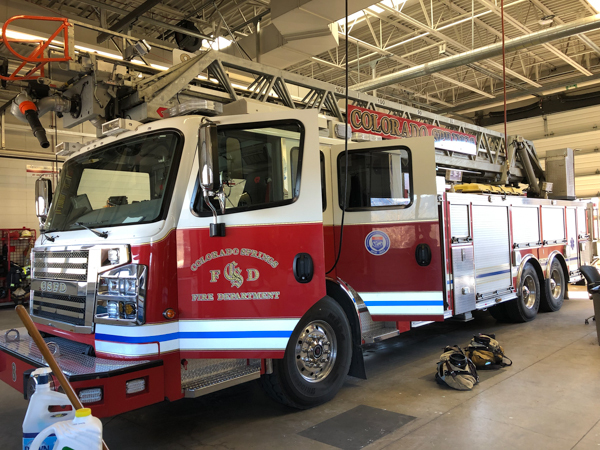 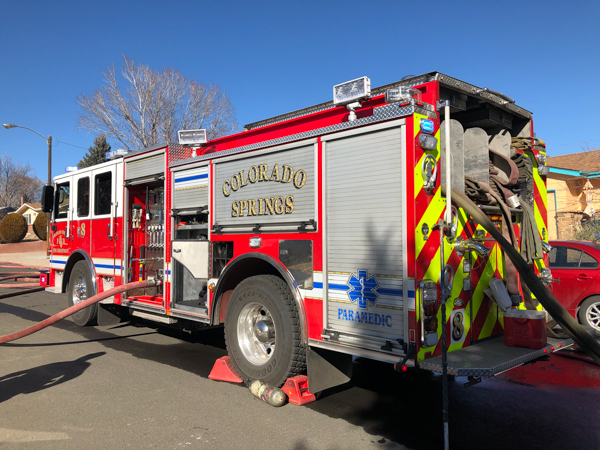 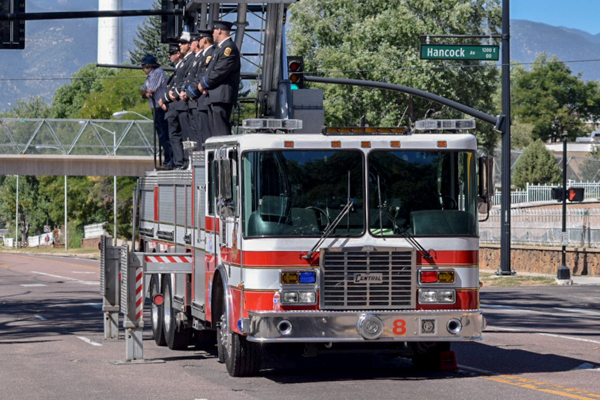 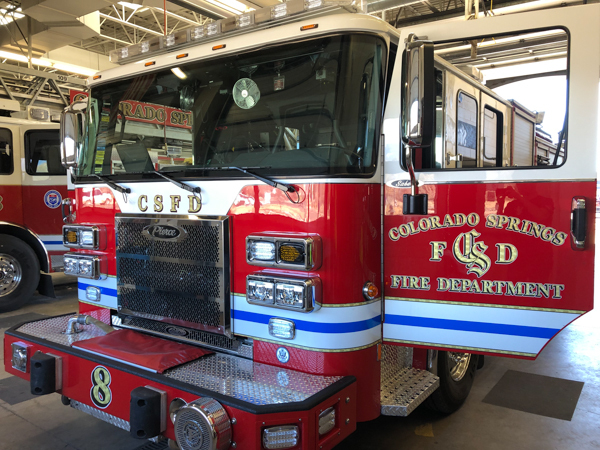 1984 American LaFrance 100′ rear-mount aerial ladder, also ran as Truck 10 and Northeast Teller County Fire Protection District Truck 1. 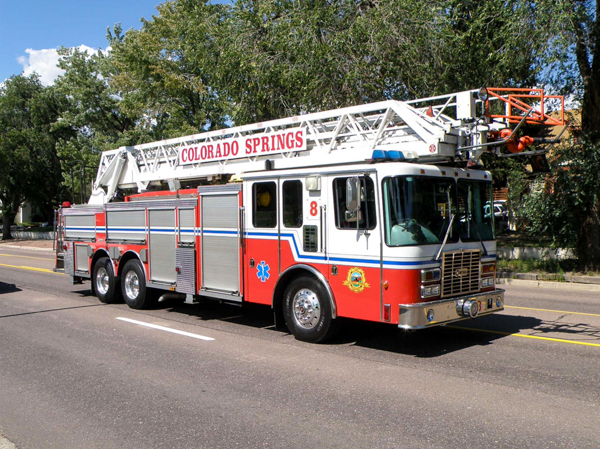 (331) 1996 HME / Rosenbauer / Central 75′ rear-mount aerial, shown here before the refurbished in 2012. 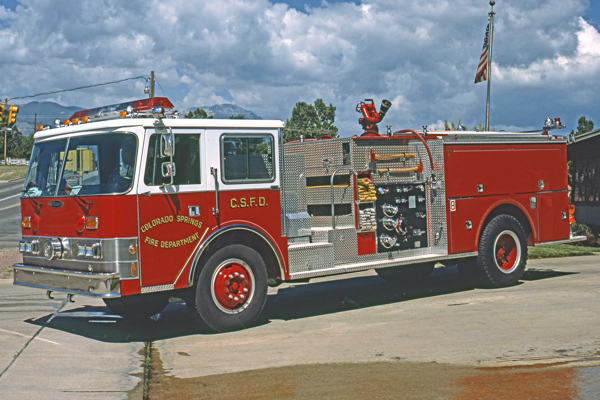 Shown here after the refurbished in 2012. 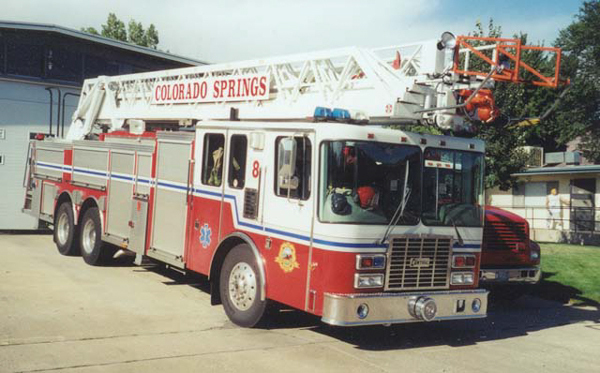 1996 HME / Central / RK Ladders 75′ aerial, shown here before the refurbish. 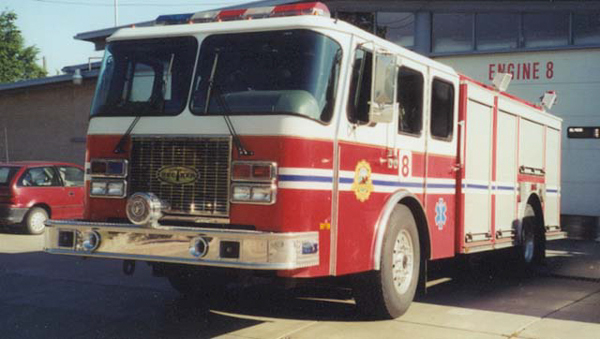 HME / Becker 500 gallon water tank, shown here with the older logo. 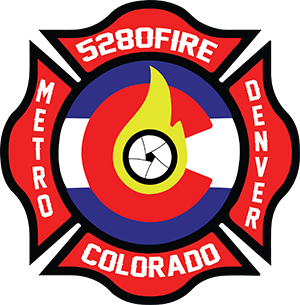 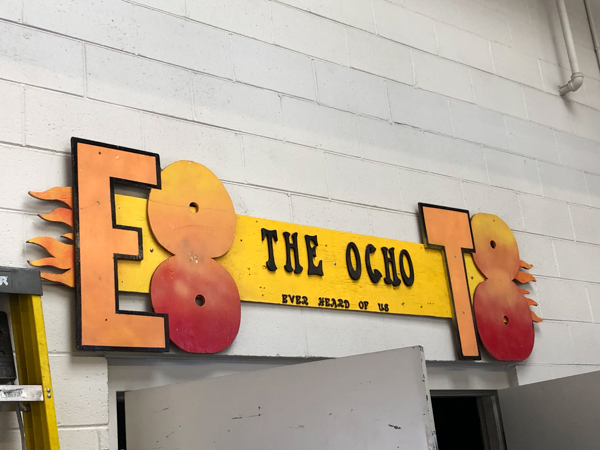 Shown here with the updated logo.